Hello again on this new Dell laptop driver tutorial, this post is aimed to the latest Wifi driver and blue-tooth 4.0 for the Inspiron 15 3520 laptop, after installing a fresh Windows 7 or Windows 8 operating system on the Dell Inspiron 15R 3520 laptop, you'll find a missed driver "network adapter" not installed, so all you need is to download the file bellow, use any storage like USB stick to move the file to the laptop then install it. The device inside this Dell Inspiron is an Atheros AR5B125 Wireless adapter with HW ID "PCI\VEN_168C&DEV_0032&SUBSYS_02091028&REV_01", the driver bellow is the latest official driver from Dell so If this driver doesn't work that mean your Wifi device HWid is different. If it doesn't work please leave a message with your HWid. Hey! It doesnt work for me like the rest of the like 20 drivers I have tried, it says I cant install this driver on this platform. 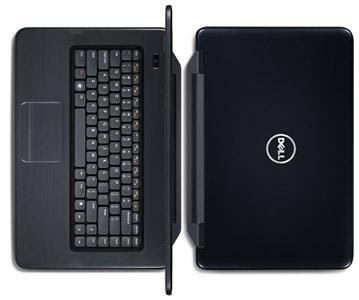 But I have the same Hardware ID (yes its the same, I got here by googleing it), though its a dell 3521 laptop. I cant find any drivers for it AT ALL, no windows 7 wireless driver, and on Ubuntu it recognises immediatley so its not a hardware issue. I have written to the dell forums wrote emails no answer yet :( Please if you have any solution tell me!